Did you know that men wearing earrings is NOT a new trend? It is believed that men wear earrings to denote their rank in society for as long as civilization has existed. Now, how is modern ear piercing for men sounds so different? The simplest answer: it isn’t. So if you are planning to get an ear piercing anytime soon, these are some ways to get the best out of your ear piercing experience! Here are some helpful 6 Valuable Tips To An Awesome Ear Piercing Experience. Instead of a piercing gun, a sterile needle is a way to go! Ultimately, this means that it’s best to go to a piercing parlor to get pierced instead of going to the mall. Moreover, piercing guns punch through the lobe tissue with brute force while needles create less pain and also heals faster. Lastly, needles can be sterilized while piercing guns cannot. Thus, not only are needles more painless, but it is also safer in terms of health than piercing guns. In most cases wherein you get your ears pierced, it is most likely that you get what you pay for. Which means, the cheaper it gets – the more it may not be adequately done. 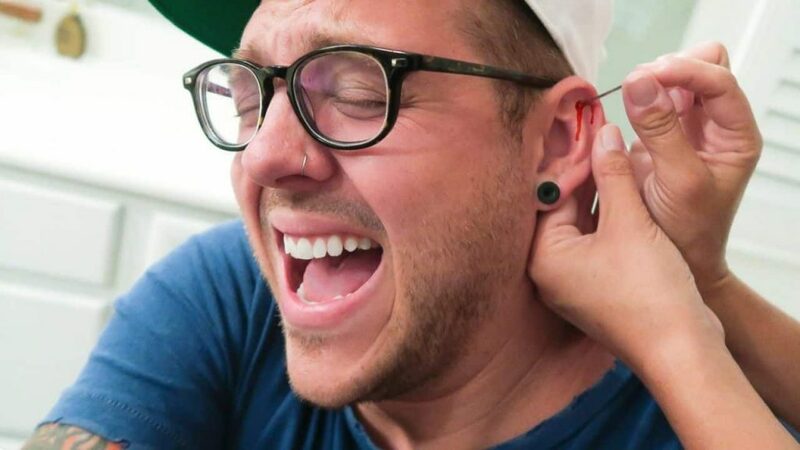 If you think that the price is too low when you get your ears pierced, it’s highly possible that the piercer is cutting corners somewhere and potentially jeopardizing your health and safety. It is for the best to use only hypoallergenic metals like gold, titanium, platinum, or medical grade stainless steel. Specifically, titanium is the best choice among the hypoallergenic metals when you have hypersensitivity. This metal is lightweight – thus it is more comfortable. Furthermore, titanium is the purest metal you can put into your body for it is much safer than implant-grade stainless steel. Different to common belief, the correct placement for the septum is not the hard piece of tissue at the base of the nostrils. The correct location is instead a delicate membrane located just above that tissue, and underneath the septal cartilage. There is no need to fret for an experienced and trusted piercer knows where to locate this thin membrane. Moreover, the piercing, when done correctly – can be painless and quick. The cartilage is an integral part of the ear. Though it is not as robust as bones, it is still responsible for providing the shape of the ear. This is also the spot where piercings are placed. In actuality, there are a lot of basic cartilage options for piercing beginners and veterans alike: the forward helix, the tragus, the conch, the rook, and the faith. Basically, anywhere on the ear that has cartilage can be pierced. The faith is the innermost cartilage fold of the ear. It is recommended to invest time in choosing a place that has well-trained staff and uses safe ear piercing systems. For certain, you would not want to risk anything when getting your ear pierced. Thus, it is best to practice mastering the several ways on telling if piercers are hygienic and aseptic. Background checks on your chosen piercer and his shop is a means of necessary precaution to ensure that your piercing will be done safely and professionally. For many years, men wearing jewelry was considered taboo for seeming feminine. However, as of today, male piercings are slowly becoming more common and are even being practiced all over the world. 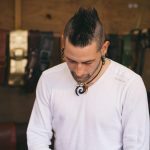 Thus, this article is intended to help male readers who are planning to get their ears pierced acquire useful tips for getting an ear piercing.